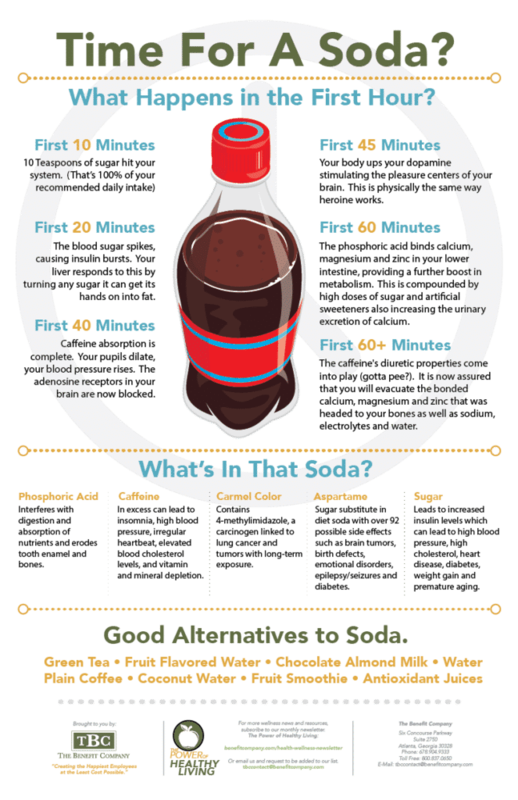 What happens in your body in the first 60 minutes after drinking soda. You’ve hit that 3:00pm wall and there’s still a meeting to attend and then loads of email to tame afterwards. What are you going to do? Pop open a soda and power through the rest of your day, right? 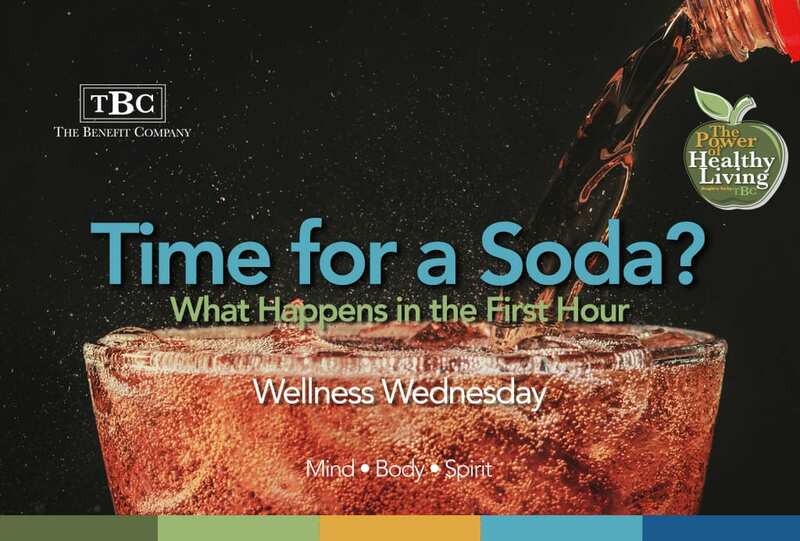 Before you do, consider what happens to your body in the the first hour after throwing down that pick me up soda. First 10 minutes – 10 Teaspoons of sugar hit your system. (That’s 100% of your recommended daily intake). First 20 minutes – The blood sugar spikes, causing insulin bursts. Your liver responds to this by turning any sugar it can get its hands on into fat. First 40 minutes – Caffeine absorption is complete. Your pupils dilate, your blood pressure rises. The adenosine receptors in your brain are now blocked. First 45 minutes – Your body ups your dopamine stimulating the pleasure centers of your brain. This is physically the same way heroine works. First 60 minutes – The phosphoric acid binds calcium, magnesium and zinc in your lower intestine, providing a further boost in metabolism. This is compounded by high doses of sugar and artificial sweeteners also increasing the urinary excretion of calcium. First 60+ minutes – The caffeine’s diuretic properties come into play (gotta pee?). It is now assured that you will evacuate the bonded calcium, magnesium and zinc that was headed to your bones as well as sodium, electrolytes and water. Download our soda infographic to find out. It is available as a poster that you can print and place in your workplace (near the soda machine) or as a flyer you can hand out in staff meetings. If you would like more free health and wellness resources, join our complimentary newsletter that is published monthly. You can also contact us for more in-depth population health management strategies we offer.